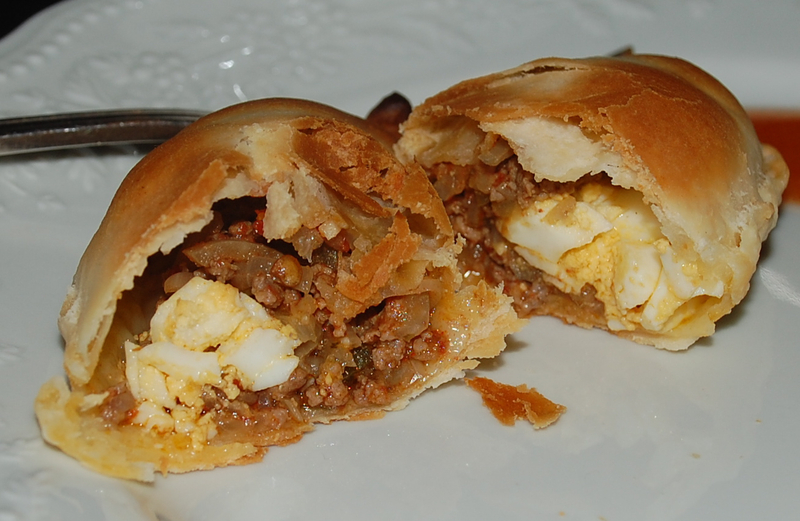 Tonight we finally attempted what top culinary experts call the quintessential Argentine food: the empanada. And we're proud to say we achieved success. 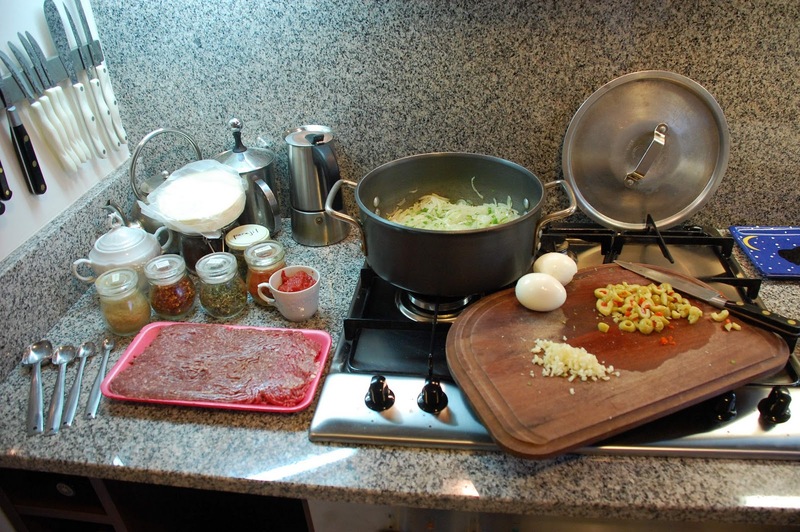 According to the Moltenos, the secret to a moist meat filling is onion . . . and lots of it. They told us to use 3 kilos of onions for each kilo of ground meat. Saute the onion, add the meat until it just browns, and then cut off the heat and top the pan for two hours, they advised. Add spices, a little chopped hard-boiled egg, and an olive, and voila! When the mix is ready, chop 2 hard-boiled eggs. Then put 1-2 tablespoons of filling in the middle of each dough circle, add about 1 Tbs. of the egg, and fold the dough over, pressing the edges together. Place a few drops of olive oil onto a cookie sheet, and then sprinkle over that a small amount of flour. 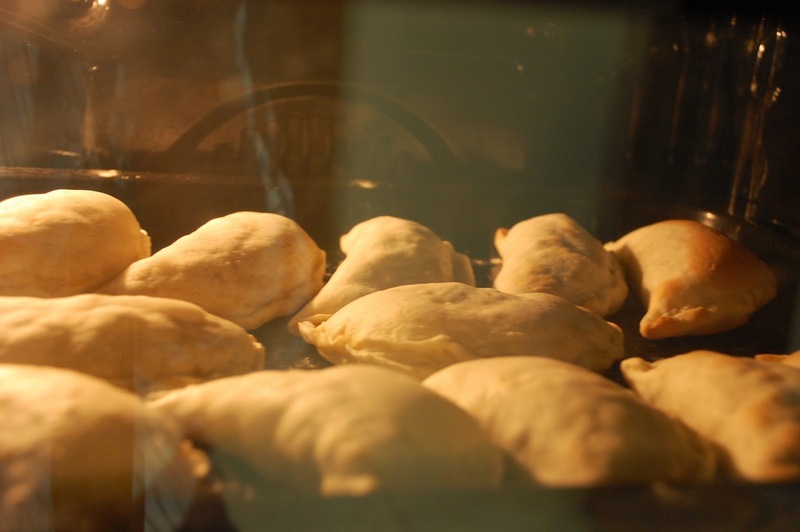 Place the formed empanadas on the sheet so that they are not touching, and cook in a preheated 350 F oven for about 15 minutes. 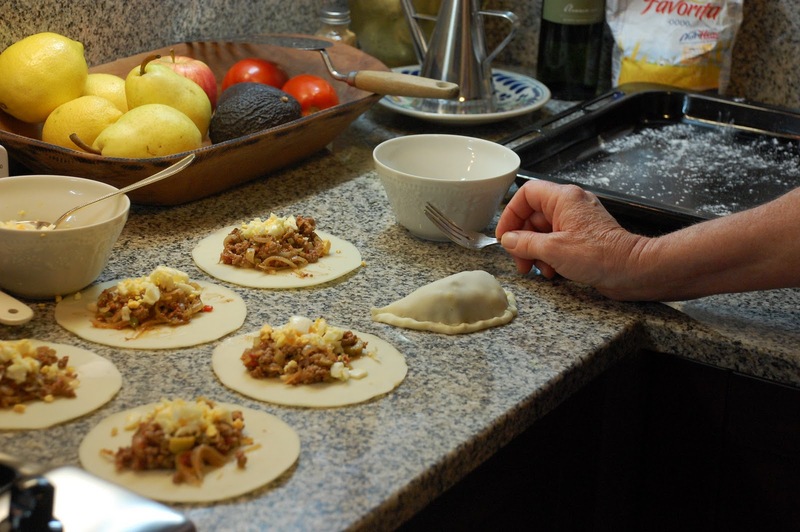 Makes about 2 dozen tasty empanadas. We served our empanadas with frijoles bayos estilo mexicano and some simple avocado slices with lemon juice and sesame seeds. YUM! Special thanks to Waitress from Mensa, who asked quite some time ago for Argentine recipes.